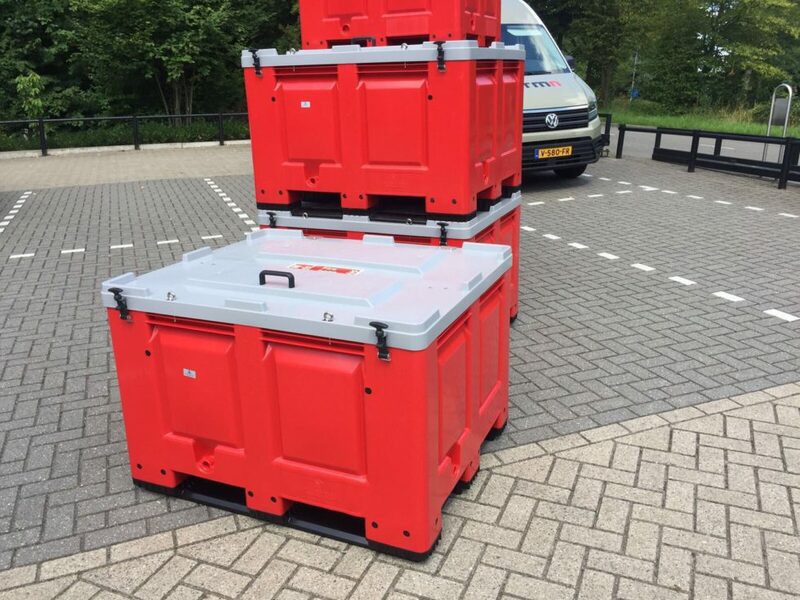 Storage Solutions | Repair Management Nederland B.V.
RMN can offer you several solutions in storage. From a simple storage bin till complete cabinets a full high quality line is available. 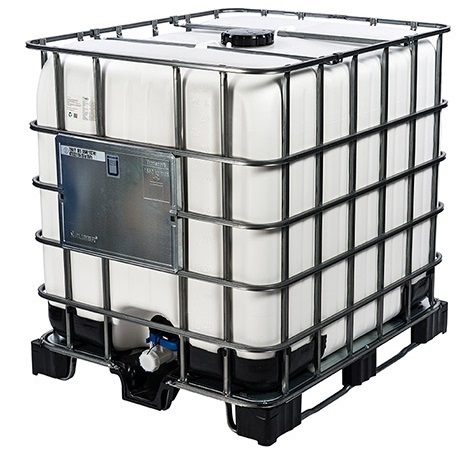 IBC UN Storage containers for fluids, Big volume pallet boxes, Distribution storage containers etc. Large volume storage solutions, the pallet boxes are equiped with Plastic pallet box with three runners lengthwise and the box is liquid-tight. Material HDPE. 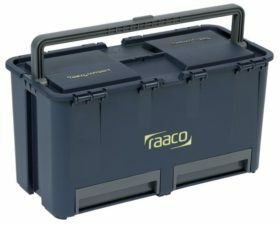 Dimensions are 1200x1000x830mm and equiped with a cover with one side hinges and other side lockable. 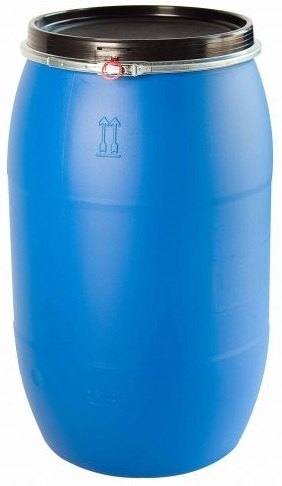 1000 litre IBC containers with 2″valve and top screw cover. Available with UN 31 HA/Y/D/BAM approval, Food approval, in colours natural, black or white bladder. 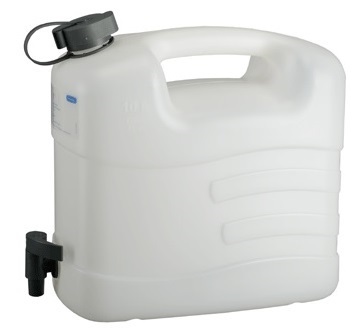 A wide range of jerry cans for all kind of fluid storage and transport. 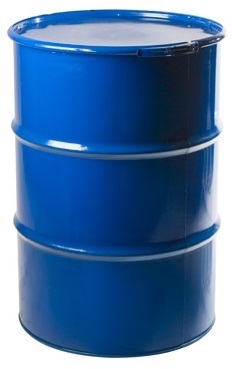 Steel cover drums 200 litre with UN approval in several colours, Blue HDPE cover drums with a black cover locked with a metal locking clamp available in 60 & 220 litres, special fluid drums HDPE with 2 pieces 2″screw cap on top of the drum UN approved, screw cover drums to store products watertight. Storage bins available in polystyrene (PS) and polypropylene (PP) material. The PP material is much more durable than the PS but also higher in price. 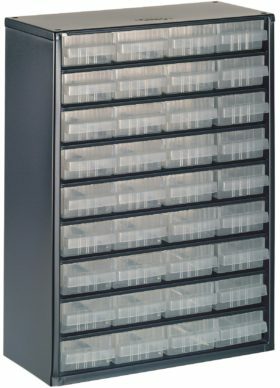 Bin shelves and cabinets are also available. 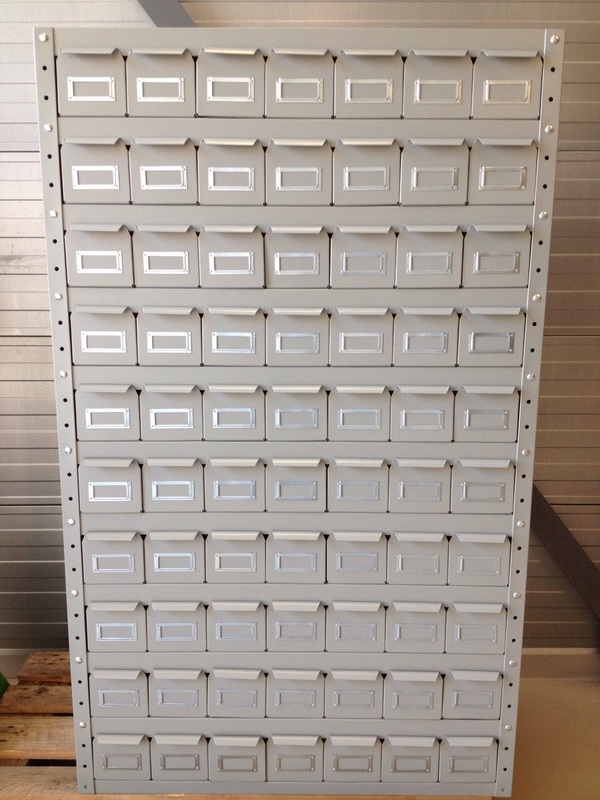 We can also offer storage bin cabinets complete with steel storage bins. 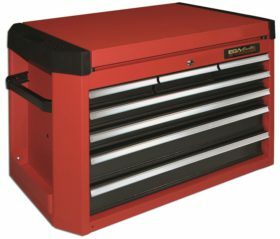 Toolboxes, parts cabinets and transport boxess made of durable strong polypropylene (PP). Made of durable double layer nylon with multiple pockets inside. 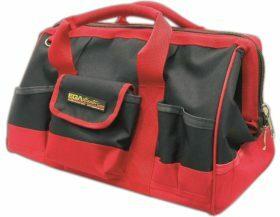 4 different type of bags available with a high load capacity. 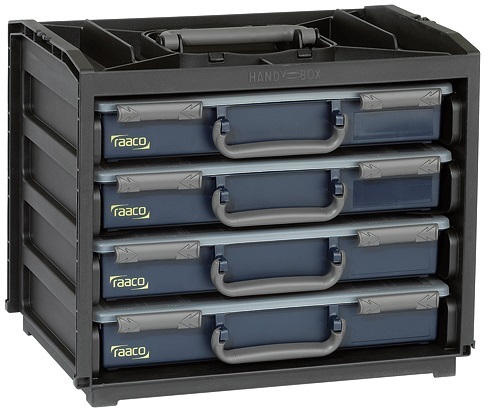 Self-stacking system with sprung clamps securely locking cases together when they are placed on top of eachother. High load capacity of 60 kg per box. 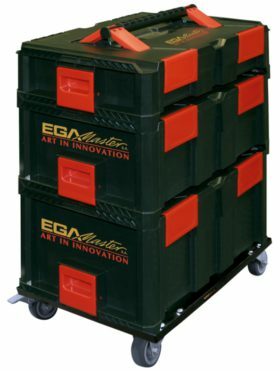 Ega Master offers a complete range with tool cabinets, trolleys, boxes and cases. All made of the best quality materials meet the customers requirements. 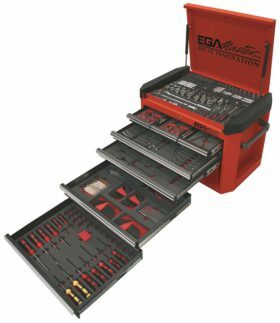 Most of the types can be ordered empty or complete filled with tools. Also filled with tools as the custom wishes layed in foam inserts.